Explore Our Extensive Line of Epigenetic Antibodies. 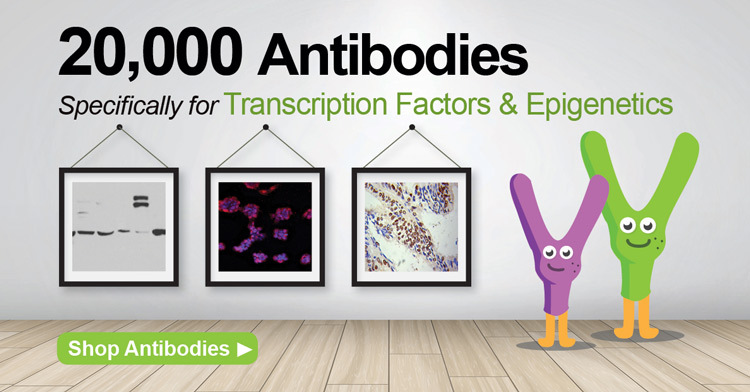 EpiGentek offers an extensive portfolio of more than 20,000 high-quality antibodies which are specific against transcription factors and epigenetic modification-related proteins. Available in both polyclonal and monoclonal for a variety of model organisms, our antibodies are thoroughly tested for specificity and for compatibility with numerous downstream applications.